Gravesite: A gravesite is a defined space for the burial of human remains only. The space may contain one human remains or one human remains and the inurnment of one human remains or the inurnment of two human remains. Burial of two infants with prior approval by the Association. The dimension of all gravesites is 4 feet wide North and South and 10 feet long East and West. Evidence of Ownership: Ownership of each gravesite as reflected in the Associations records, shall be evidenced by a Certificate of Ownership, which shall be in written form, signed by the President and Secretary of the Association, and which shall designate the gravesite by identifying locators referencing locations specified on the Association’s Record Plat of gravesites by Lot, Row or Block and Grave. The Secretary shall affix the Association’s Seal to the Certificate. Replacement Certificate of Ownership: If a Certificate of Ownership is missing or destroyed, a member of the family of the Record Owner may, by affidavit, establish the rightful ownership of the gravesite, whereupon the Association will issue a Replacement Certificate of Ownership, which shall be and remain subject to superior claims of ownership until the gravesite is used for burial. 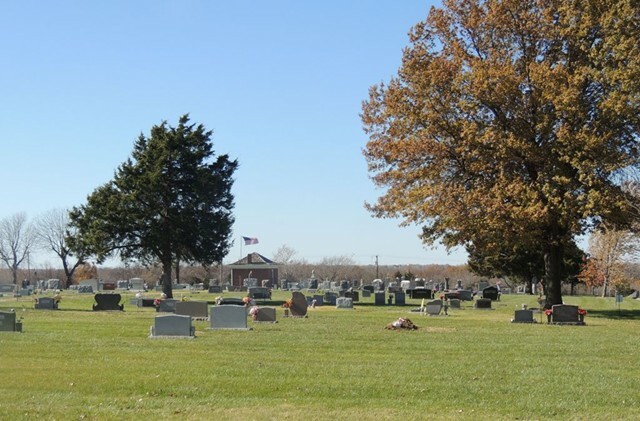 Record Plat of Gravesites: The Association shall maintain, at the Association’s principal business location, a written Plat of Gravesites, drawn to appropriate scale, upon which each gravesite shall be clearly identified by its location. Owner of Record: The Association shall maintain a written record or ownership, whether acquired by original purchase from the Association or subsequent transfer from a prior owner, of each gravesite, listing the owner of record for each gravesite after its initial purchase from the Association. Transfer of Ownership: Each owner of a gravesite may relinquish his rights of ownership to another, by gift, sale or inheritance. Evidence of such transfer of ownership shall be reflected in the Association’s Record of Ownership upon its receipt of notification in writing to the Association of such transfer. Upon surrender of the transferor’s certificate of ownership, the Association shall issue a new certificate of ownership to the transferee. If no original deed or certificate of ownership is returned, the transfer will be noted in the Association record. Containment: Each burial shall be in a vault or urn approved by the Association. Remains must be interred within the boundaries of a gravesite. Marking: Each gravesite will be located and marked by the Association prior to excavation. The Association is not responsible for errors in the location of gravesite not marked by the Association. Interred remains cannot be moved or removed without knowledge and/or permission of the Cemetery Board representative. The location of monuments must be marked by the Association prior to setting. Gravestones cannot be placed until gravesite is paid for. Monuments set in error not marked by the Association shall be moved at the owner’s expense. Existing gravestones cannot be moved unless marked by the Cemetery. Monument Practical Guidelines – All monuments shall be placed at the head of the gravesite in line with any existing monuments in the same row. All types of gravesite markers, such as benches, shall be placed at the head of a gravesite where a monument would normally be placed and adhere to the guidelines referenced in this policy. Single Monuments – Single monuments shall be centered on the gravesite. If a monument is wider than the gravesite the same person(s) must own the adjoining gravesite(s). Companion Monuments – Ledgers shall be centered on the gravesite with the front of the ledger on the line at the head of the gravesite. Ledgers – Ledgers shall be centered on teh gravesite with the front of the ledger on the line at the head of the gravesite. Footstones – Each gravesite can have a footstone. Footstones shall be centered on the foot of the grave and must be flat with the ground and be less than 3″ in height above the ground. Any deviations from this policy must be approved in writing by the board of directors. The association will not be responsible for the leveling of monuments that have settled or damage to the monuments, statuary or other tributes, whether due to vandalism, negligence of others, or care-taking or routine association maintenance. New gravesites will be leveled and seeded after settlement has occured, and sunken gravesites will be leveled and reseeded as required. Flowers will be removed from gravesites two weeks after burial. Flowers will be removed from gravesites two weeks after Memorial Day. Live plantings are prohibited. Landscaping is provided by the Association. The Association will provide perpetual care to existing gravesites, gravesites held for future use and common grounds. The Association depends upon its fundraising activities and the generosity of family and friends who give of their time and money in the protection and preservation of the cemetery. The following is a list of the Wills Cemetery Association Inc., Board of Directors, Officers and Phone numbers as of July, 2011.